From the moment you walk in the door you will be impressed with our large showroom well stocked with thousands of feet of mouldings, along with a large framing centre where we will custom frame your project just the way you want it on site. All of the pieces that we sell are very affordable for every level of consumer, so come in and browse around. Whatever your art or framing need, you can be certain that you have come to the right place. We sell a variety of artwork from all of today’s well known artists. You can browse our large showroom and for the piece that is just right for you, or for the gift that is perfect for you loved one. We sell prints, posters, limited editions and reproductions on canvas. While we have a large selection in our gallery, you can also browse through our catalogs. We are constantly sourcing deals on mouldings to offer the most competitive prices. 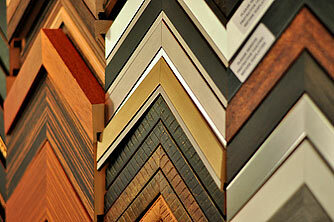 We provide complete custom framing services, with attention to detail on each individual project. Guaranteed lowest price, best value, NO SALES GIMMICKS. Our regular price beats their sale price.